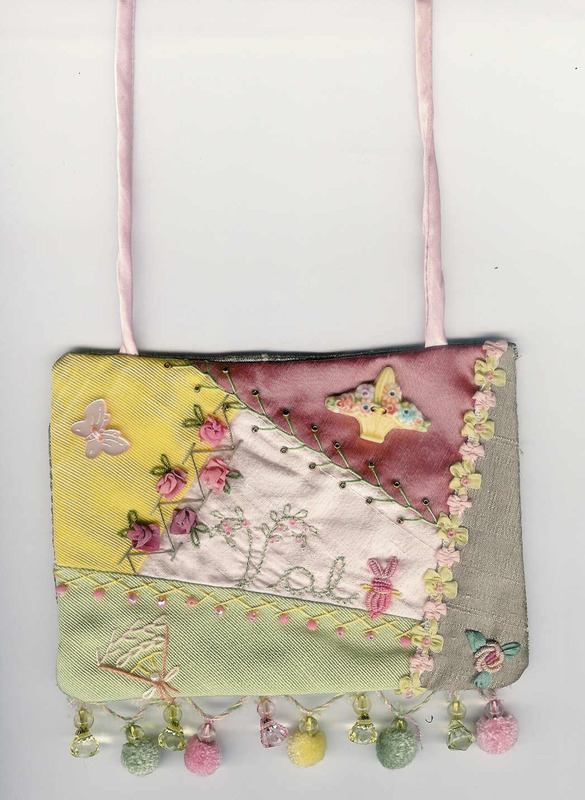 As part of the fun at the Victorian Stitchery Retreat, I always have a little crazy quilt contest. Two years ago I had a crazy quilt name tag contest. I didn't enter the contest since I am the hostess, but I still thought it would be fun to make one. Of course it has a little pink in it! Have a happy Pink Saturday and don't forget to visit our sponsor, Beverly at www.howsweetthesound.typepad.com. You can click on the button at the top right and it will take you there. Oh my gosh what a beautiful share. I love your Victorian tag. It is DDG. I love the piecework and the way it was stitched together. Those beads are such an element of surprise. I love this tag. Just gorgeous. You my friend, as so talented. Thank you for sharing today. I have so enjoyed my visit. Happy Pink Saturday. What a lovely quilted purse and such a cute example of pink. I like your site.